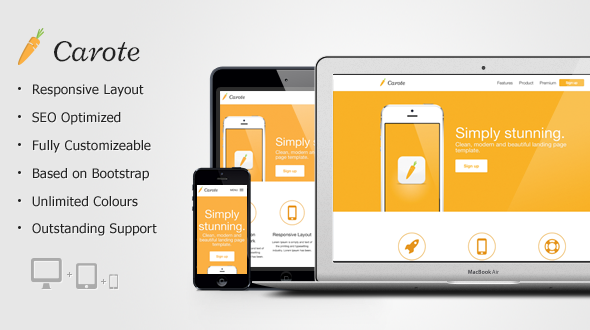 Carote is a responsive app landing page template based on the Zurb Foundation 4 framework. It’s perfect to promote your iPhone and iPad App as well as other Software. If you having a hard time with one of my products, please write in the corresponding forum at www.valentinscholz.com. We'll solve it for you as soon as possible. Thank you in advance!